Based on series petitions we received from various organizations such as Cooperate Bodies and Non-Governmental Organization (NGO), Individual complains on the inability of some Government officials, Commercial banks to settle their clients Contract Debt, Inheritance. The Debt Reconciliation Unit of this institution has authorized us, to investigate the unnecessary delay on payment approved in your favor. During the course of our investigation, we discovered with dismay that your payment has been unnecessarily delayed by corrupt officials of the Bank who are trying to divert your funds into their personal accounts. After an extensive close door meeting yesterday with the newly elect President of the Federal Republic of Nigeria, Gen.Muhammadu Buhari with the Minister of Finance (Mrs.Kemi Adeosun), it was resolved and agreed upon that CENTRAL BANK OF NIGERIA, under the desk of MR. JOHN WATER, the Director of the Payment Department will work extensively to ensure that all contract payment, Inheritance will be settled without any hassle. For security reasons, you are been advise to create a separate email entirely for correspondence and communication, to avoid complains while, your funds will be packaged in form of your choice either via CERTIFIED OFFICIAL CHECK or ATM CARD and this will enable only you to have direct control over your funds. We will monitor this payment ourselves to avoid the hopeless situation created by previous bank officials. your complete Inheritance funds have been credited in your favor through CERTIFIED OFFICIAL CHECK or ATM CARD from CITI BANK. Because of Impostors, we hereby issued you our code of conduct, which is (CITI-B7750) so you have to indicate this code when contacting the payment Center by using it as your subject. NOTE: You are advised to furnish Sec. Mr JOHN WATER with your correct and valid details. Also be informed that the amount to be paid to you is US$25,500,000,00 Only. . I flew into the country early this morning from Ghana. 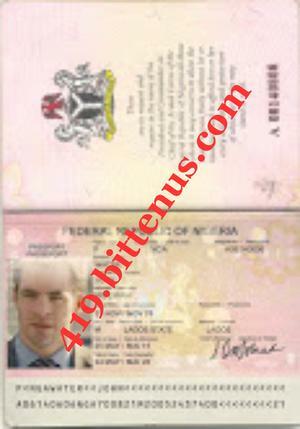 I hereby attach scanned copies of my International passport and my birth certificate as requested by your banker. 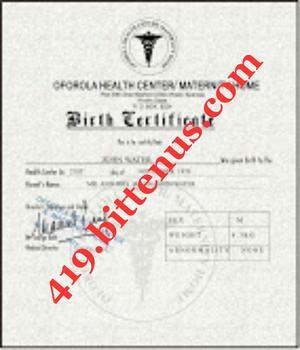 Ensure that my document are safe in your hand because I am not suppose to send my International passport and my birth certificate to you because it has nothing to do with this transaction. I am sending it for the avoidance of doubt. Now that you it ensure that you do everything that is required of you to enable my bank finalize your payment. Go ahead and send your particulars and a scanned copy of either your Int. passport or drivers license to enable the legal department proceed with the application of your name for onward release of your ATM VISA GOLD CARD. Awaiting to hear from you today.